Idaho students are planning to walk out of school on Wednesday, showing solidarity with students nationwide, protesting congressional inaction on gun violence at schools. Students are joining together for change, commemorating the one month anniversary of the school shooting in Parkland, Fla., that left 17 people dead. Survivors of the Florida shooting are organizing a national march in Washington, D.C., on March 14. Idaho students are expected to walk out of school or hold events on campus that day. Students are being encouraged by the Women’s March Youth Empower organization to walkout for 17 minutes, one minute each to honor the 17 lives taken in the Florida tragedy. As support for this movement grows in Idaho, school district across the state are preparing for the walkout by communicating with students, teachers and parents. Idaho state superintendent Sherri Ybarra recognizes students may want to exercise their rights of free speech and assembly. The State Department of Education released guidance for districts to help school leaders prepare and use the walkout as a teaching opportunity. Treasure Valley students are planning to walkout of school in support for school safety. The People For Unity organization is hosting the “Enough is Enough” rally at 10 a.m. on the Statehouse steps on March 14. Bishop Kelly High School students in Boise plan to pay respect to the victims of the Florida shooting and advocate for government change on campus during the walkout. Idaho Education News reached out to school districts from around the state to find out if walkouts are happening at schools and what policies are in place if students walk out of class. Heather Crocker, a spokeswoman for the district said students at Wood River High School will gather from 10 a.m. to 10:30 a.m. at the school during their student advisory period. Students have stated that their goal is to have an opportunity for all students to express their points of view on school safety. The gathering is not about gun rights. It is about school safety and student voice as students grapple with their role in the world and their ability to impact their surroundings. Students will have two choices; they can attend the gathering or stay in their advisory class. The priority is student safety. Dan Hollar, a spokesman for the district, said “we recognize the right of students to demonstrate, per our Freedom of Expression and Assembly Policy. For students who wish to participate, we will follow our attendance policy.” The district will encourage parents to follow current absence reporting procedures, and provide their school advance notice of their child’s absence. Absences without the consent of the student’s parent/guardian or district officials will be considered unexcused absences, per district policy. The district has no plans to punish students who choose to participate in this peaceful walkout at this time. Scott Maben, a spokesman for the district, said “our position is that we support our students right to peaceful assembly and free expression.” Superintendent Stan Olson said he will allow students to take part in the demonstration with the expectation that everyone is to be respectful of all views and to behave appropriately. Any disorderly conduct that disrupts school operations will be handled in accordance with policies and student code of conduct. Students will not be disciplined for peacefully participating in the walkout. When the activity concludes, students are expected to return promptly to class. Attendance will be taken, and any student who fails to return will be marked absent. 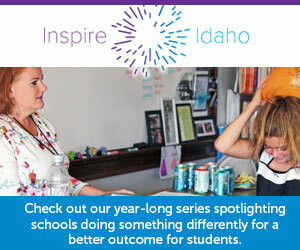 Superintendent Shalene French said the district plans to support students using the State Department of Education guidelines sent to all Idaho school districts. David Reinhart, a spokesman for the district, said the walkout is being organized by students and the district supports them. While there may be some students going to the Statehouse, the bulk of Kuna’s walkout is taking place on school grounds. Students are planning an assembly with a panel of experts and will then be lining the halls rather than walking out of the building. Superintendent Gregory Bailey said his district’s spring break is the week of March 12 and students are not planning a walkout at this time. However, students are working with community members to demonstrate their support in another manner on Saturday, March 24. Students have also discussed setting up a moment of silence at the school on a date yet to be determined. “I believe this is a great way for them to show their support and be respectful of their school. In my opinion this again shows how awesome these kids are. If this is the actions they take, they will have my 100 percent support,” Bailey said. If a walkout occurs, schools and classes will continue on their normal schedule. If parents want to excuse their child from class to allow them to participate, they need to contact the school’s office. Absences that are not excused by a parent will be treated as unexcused. Eva Craner, a spokeswoman for the district, said “we have not heard a lot of desire from our student population about participating.” However, if students do participate in a walkout, teachers and administrators will follow the district’s attendance policy. This means that parents can excuse their student from class by contacting their child’s school. If students do not receive parent permission and walk out of class, the district will follow its attendance policy regarding discipline. In some cases, Twin Falls schools are planning alternative events that allow students to express their opinions in a non-political format, such as 17 acts of kindness to memorialize the 17 students lost in Florida. Superintendent Pat Charlton said the two high school administrations are working with student leaders who are planning the walkout so students will not miss any class time with a school-sanctioned event. Ridgevue High School students plan to cut second period short so all students can take part in the walkout. Students who plan to participate in the rally taking place at the Idaho State Capitol will need to have parent permission for an excused absence. Eric Exline, a spokesman for the district, said if a student decides to participate, he or she will be marked absent. If an adult calls in, the absence will be an excused absence. If not, it will be an unexcused absence.